After spending a day on islands of Sapi Island and Manukan Island at Taman Tunku Abdul Rahman, we went to visit Tuaran Crocodile Farm. On the way to the crocodile farm, we stopped at this roadside stalls and enjoyed 3 of the must eat food in Sabah. 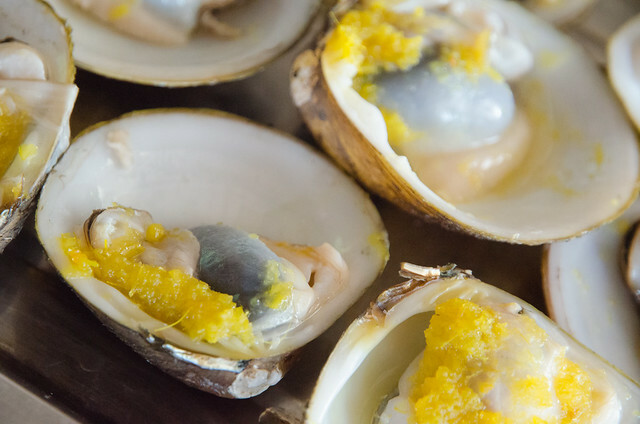 They are the famous coconut pudding, grilled coconut (kelapa bakar) and barbecue clams (lokan panggang). 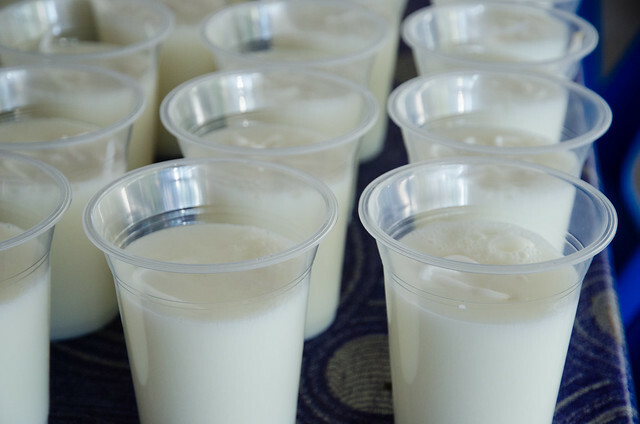 The stall also sells coconut pudding in cups if there is no one to share with you. 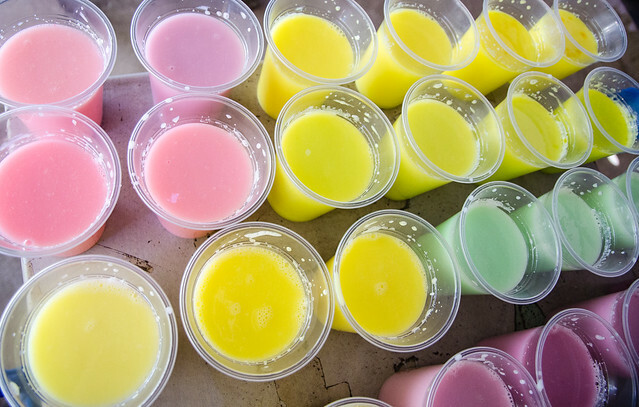 The cup version comes in many flavors such as corn, durian, mango and yam. 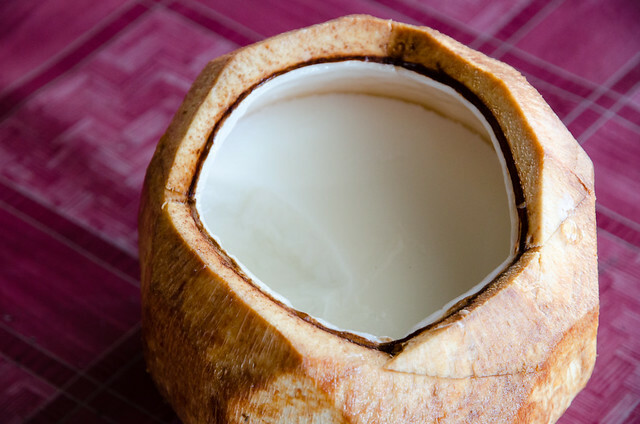 Didn’t get to try as we already try the original version in a real coconut. 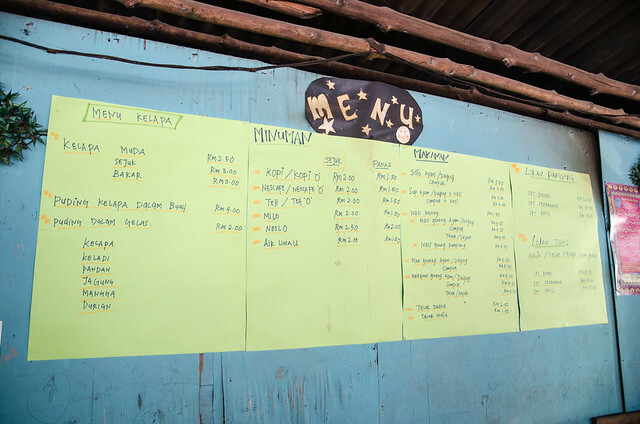 The menu of the coconut stall. You can check out the price here. You can also order lokan tumis (with ginger, spice, egg or soy sauce). 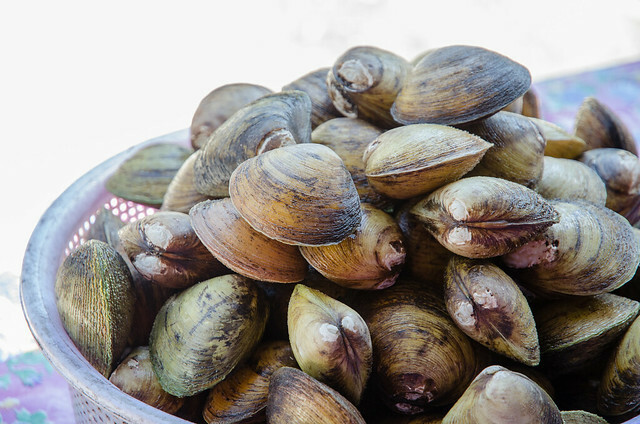 These are the clams. There are different sizes. 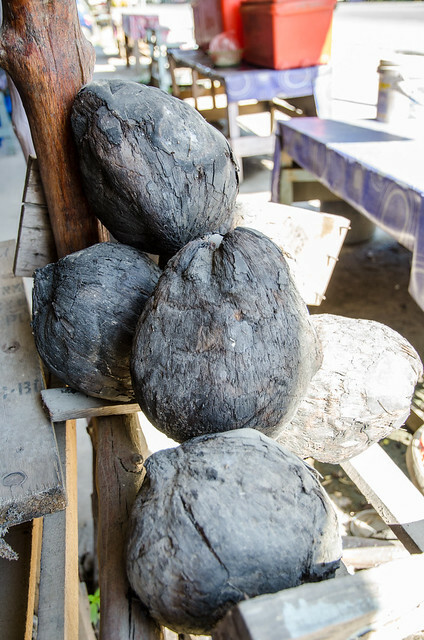 These are the grilled coconut. It is said to be very good to recover from sore-throat and cough. It tasted really nice too. Since it is very hot after grilled, we pack them back to hotel to drink at night. 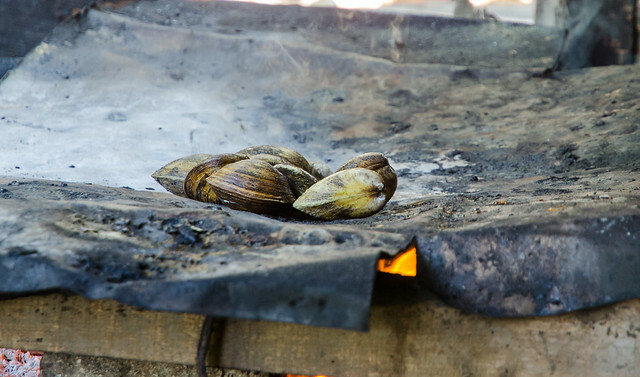 Some clams on the barbecue pit. 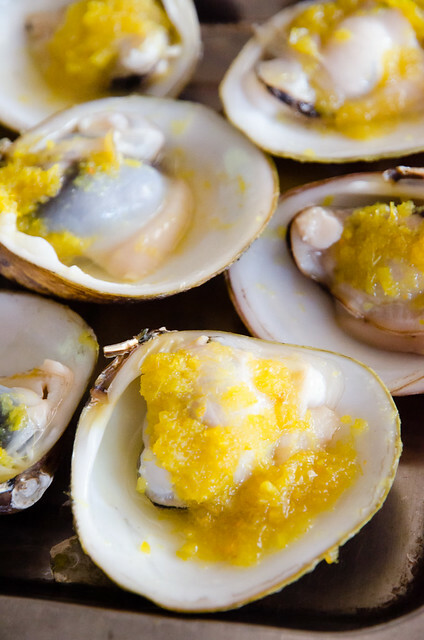 These are the ginger barbecue clams. 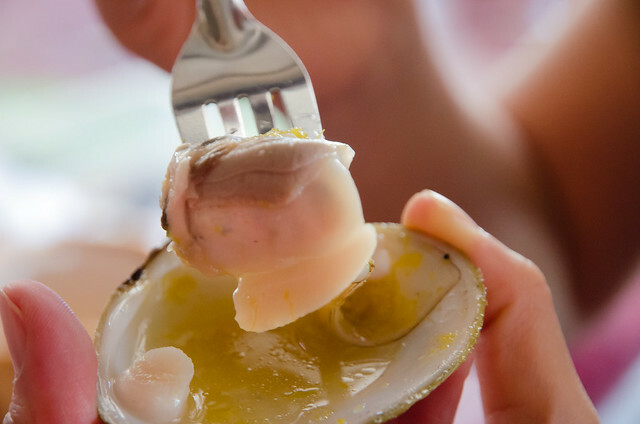 Never tasted clams so nice, big and juicy. Another angle of the clams. One is not enough. See how big is the lokan? If you are visiting Sabah, I’m sure the tour guide will bring you to try these food. If not, do remind the tour guide. Till then, our next visit to Tuaran Crocodile Farm.